Performed Sunday, May 18, 2014 - 7:30 p.m. The CCWS was pleased to present an evening of music by Dutch composer and conductor Johan de Meij. We also were proud to host him as guest conductor. To many, his music is regarded as some of the best new material and arrangements for wind symphony. To those unfamiliar with his music, this performance was sure to turn them into new fans! American mezzo-soprano Kristin Gornstein has brought her vibrant stage presence and supple voice to a diverse repertoire ranging from Handel to improvisational modern and electronic music. She was featured with the wind symphony in two of Johan de Meij's compositions. One sung in Swedish and one in German. Ensemble is the flagship performing group of the Piedmont East Bay Children's Choir. It represents the organization in international competitions and festivals, and holds a reputation as an exemplary children's choir. It joined de Meij and Gornstein in the West Coast premiere of de Meij's Symphony No. 4, Symphony of Songs - a major work written for wind symphony, solo voice and children's choir. The performance was sung in German, with translating supertitles projected for the audience. Based on the Swedish folk song "When I Was Eighteen"
This piece begins with an overture that recounts the magical reawakening that comes with spring’s arrival in Sweden. After a long and dark winter, creatures great and small join Swedes desperately longing for the first rays of warming sunshine. A melancholic, haunting song, “När som jag var på mitt adertonde år” (“As I Was in My 18th Year”), is first heard from afar. Various instruments from different locations in the concert hall echo the solitary female voice. The aching, soulful melody gradually transforms into a polka-like variation that builds to the joyful, optimistic “Spring” main theme. Creatures venture out from a long hibernation; people emerge from their homes to celebrate; and the main theme converts again into an even more jubilant, fast, dance-like scene. At this point, another well-known Swedish folk song, “Ack Värmeland du sköna” (“Oh Värmland, You Beautiful One”), appears as a countermelody thematically supporting the giddy celebrants. It is first introduced by a brass quartet (two cornets, alto horn, and euphonium) and crescendos into the full, satisfying sounds of a complete brass choir. My Fourth Symphony, for solo voice, children’s choir, and wind orchestra, is inspired by a variety of nineteenth-century German poems. The first three movements use lyrics by Friedrich Rückert from the same source as Gustav Mahler’s Kindertotenlieder. The second half of the symphony continues the death theme, using a poem by Heinrich Heine (“Two Brothers”). The last two songs, “Early Spring” and “Little Song of the Harlequin,” by Hugo von Hofmannsthal, are a metaphor for rebirth, new life, and hope. This piece is a musical approach to the quintessence, the heart of the matter. By focusing on a five-note motive in several variations, De Meij tries to get through to the essence of the musical matter. The core of the composition is a lyrical middle part (“Arioso”), preceded by an opening fanfare for brass (“Introduzione”) and a burlesque variation on the same motive (“Capriccio”). In the fourth part (“Alla Marcia”), this main motive is used only as an ambient signal, and in the “Finale,” the opening theme is repeated, so the musical walk-around is complete. To date, Riverdance has been played more than 10,000 times, has been seen live by more than 22 million people in more than 350 venues throughout 40 countries across 4 continents, has played to a worldwide television audience of more than 2 billion, and has sold more than 3 million copies of its Grammy Award–winning CD and more than 10 million videos, making it one of the best-selling entertainment shows in the world. This new arrangement for wind orchestra of Highlights from Riverdance is the second collaboration between Bill Whelan and Johan de Meij. In 2011 they worked closely together on the arrangement of The Seville Suite, which Whelan originally wrote for the 1992 World Expo in Seville, Spain. The first performance took place on June 25, 2013, at the Ginger Rodgers Theatre in Medford, Oregon, with the American Band College, conducted by Johan de Meij. • “The Foggy Dew” is of Irish origin but was adopted with another text into the local folk song repertoire. • In “Last Winter was a Hard One,” two Irish immigrant women complain that their husbands cannot find work and that “those Italians” are stealing their jobs. • “A Poor and Foreign Stranger” is a gorgeous, heartbreaking ballad. • “The Arkansas Traveler” was made famous by folksinger Pete Seeger. The music makes a side trip to “The Old Tobacco Box” before coming to a festive conclusion. Songs from the Catskills was commissioned by Concordia College (Moorhead, Minnesota) and Scott A. Jones, director of bands, for its 2011 Honor Band Weekend. In April 2011, I conducted the work at its premiere, during this event. Johan de Meij (1953) studied trombone and conducting at the Royal Conservatory of Music at The Hague. He has earned international fame as a composer and arranger. De Meij’s Symphony No.1 The Lord of the Rings was his first substantial composition and received the prestigious Sudler Composition Award in 1989. Other major works such as Symphony No. 2 The Big Apple, Symphony no. 3 Planet Earth, T-Bone Concerto (trombone concerto) and Casanova (cello concerto) and shorter works such as Extreme Makeover and Extreme Beethoven have also gained worldwide recognition. American mezzo-soprano Kristin Gornstein brings her vibrant stage presence and supple voice to a diverse repertoire ranging from Handel to improvisational modern and electronic music. 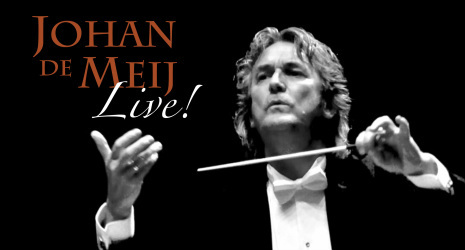 Recent performances include the North American premiere of Johan de Meij’s Symphony No. 4, Sinfonie der Lieder (Symphony of Songs), with the New York Wind Symphony, performances in Stockholm, Sweden and Rotterdam, Holland with the Opera Mecatronica ensemble, and the role of Carmen in La Tragédie de Carmen with Indianapolis Opera. Last season Kristin was a semifinalist in the Joy in Singing Competition in New York’s Library of the Performing Arts at Lincoln Center, as well as an Apprentice Artist with Caramoor Bel Canto under the baton of maestro Wil Crutchfield. Her upcoming operatic performances include Dulcinée in Massenet’s Don Quichotte and Romeo in Bellini’s I Capuleti e i Montecchi. Kristin resides in New York. Sue Bohlin joined the Piedmont East Bay Children's Choir faculty in 1984 as Accompanist and has since also served as Director of the Training Department, Girls Beginning Conductor, and Golden Gate Festival Administrator ('95 & '97). She is currently Associate Conductor for the Performing Department, accompanies Ensemble, trains solo singers for special projects, and supervises the performing department's theory program. As a composer, Sue has written most of her music with Piedmont Choirs in mind, and is published by Santa Barbara and Alliance. Sue is a recipient of the Piedmont East Bay Children's Choir's Founders Award.